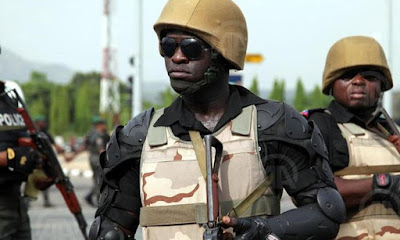 Two policemen, who are members of a Joint Task Force deployed to secure residents of Logo Local Government Area of Benue state due to incessant attacks by Fulani militants in the area have been shot dead. According to Benue Police Command spokesman, Moses Yamu, the mobile policemen camped in Awashua village where attacked by the militants who fled after being overpowered but before fleeing, they shot and killed two officers and left the third one in a critical state. The injured policeman has been rushed to the Benue state University Hospital in Makurdi for treatment. Hhhhhhhmmm, we are gradually getting there. Thank u Buhari and Tinubu.